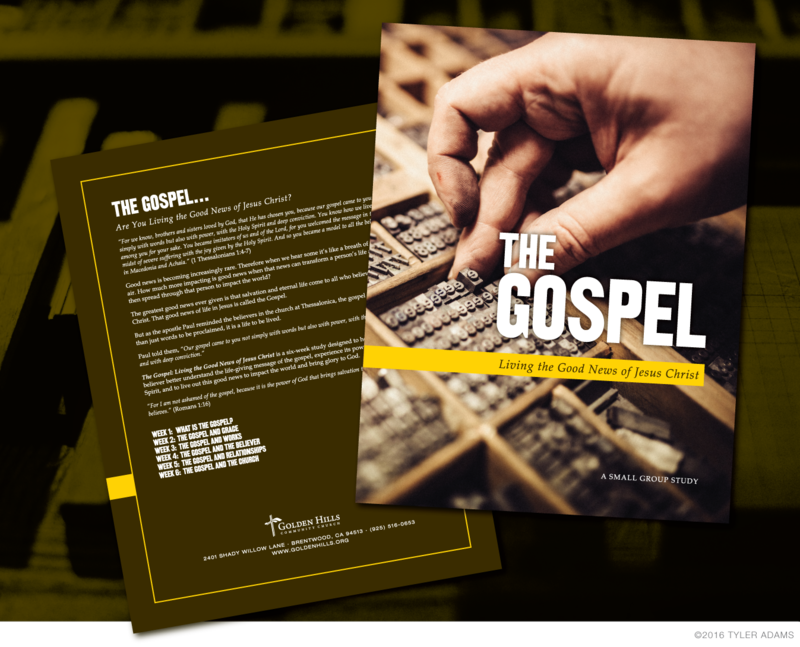 This is my 8th year designing the annual church-wide campaign devotional book covers for GHCC. This year's theme is The Gospel. What it is, how it works, and what our responsibilities as Christians have to do with it. All of the imagery we are using for the 6-week study has to do with news and getting news out, so I thought this image of a hand picking out type for a letterpress was a great fit for the cover.